If you are looking for more than just some tips or advice on the real estate market, then choose Hill & Viteri Property in Sutherland. At Hill & Viteri, we believe that there is more to property than just a sale or collecting rent. 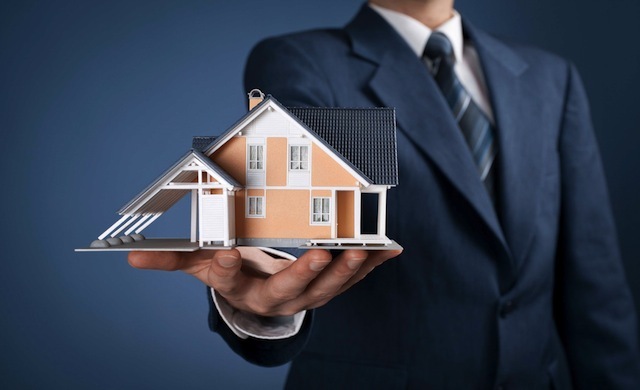 We believe in helping our clients grow their property income streams, by providing them with all the essential knowledge it takes to become a success in the real estate game and what pitfalls to watchout for. By drawing on our knowledge we save you time and financial heartache. Our agents aim to achieve the best, and they will always work their hardest for you, and strive to get maximum results when it comes to selling your property. We are experienced and fully licensed estate agents based in the Sutherland Shire. Our office is located at 1/29 East Parade, Sutherland NSW 2232, give us a call now on 02 9545 2220 if you are looking to sell your property and want to achieve the best results with Hill & Viteri Property where “knowledge is experience”. Hill & Viteri Property have been selling and auctioning property in the Sutherland Shire, for over a decade and they have a combined experience of over half a century, and a wealth of knowledge. We know this area like the back of our hands, and have seen how properties that were purchased back in the day for probably only a couple 100k, and are now selling in the millions. And Hill & Viteri Property were involved in the selling process of many of these Sutherland Shire properties time and time again. Get in touch with one of our local estate agents if you are thinking of selling your home, now on 02 9545 2220. The Sutherland Shire boasts a beautiful scenery and it’s household areas are covered by the beauty of mother nature and her natural gifts. Beautiful Beaches and National Parks surround the area, and give The Sutherland Shire it’s nickname of “Gods Country”. Being one of the main regions of Sydney; there is plenty of public transport, schools, hospitals, local businesses, shopping malls and other local, government and private infrastructure, which makes it an area of Sydney that is very popular to buy and sell property. We know the local market in the Sutherland Shire, and how to best capitalize on achieving the maximum results when it comes to selling your property. Let us help you to achieve the best result for the sale of your property. Our expertise and knowledge will not only help you to go the best sales result on your home, but will help you to understand the real estate industry and how everything works. And look, if you are one that is too busy and not fussed with how the real estate industry works, and just want the 5 star service we provide and the maximum sales price for your home? The give us a call on a 02 9545 2220 for a free consultation with one of our experienced real estate agents. Of course every industry comes with its own challenges, and that is why you should have the peace of mind when you sell your home with Hill & Viteri Property, because we know how to sell property, and we know the Sutherland Shire real estate market. Rest assured that our experienced local estate agents will guide you through the sales process and make the selling experience a smooth one. So if you are still thinking of selling your home and would like to discuss what options are available to get the best sales price for your property, or simply would like to get a free appraisal, then get in touch with one of our real estate agents on 02 9545 2220 or simply fill out a free appointment request here. In the meantime if you haven’t picked up the phone yet or requested a free appraisal? Why not check out some of our clients current testimonials. You will see why Hill & Viteri Property are the choice Real Estate Agency in the Sutherland Shire.